Back in April, during Star Wars Celebration in Anaheim, Disney released the first Star Wars Rebels Season 2 trailer. A few weeks later, Disney XD announced that Star Wars Rebels Season 2 premieres on Saturday, June 20 at 9 PM ET with the one-hour episode "The Siege of Lothal". 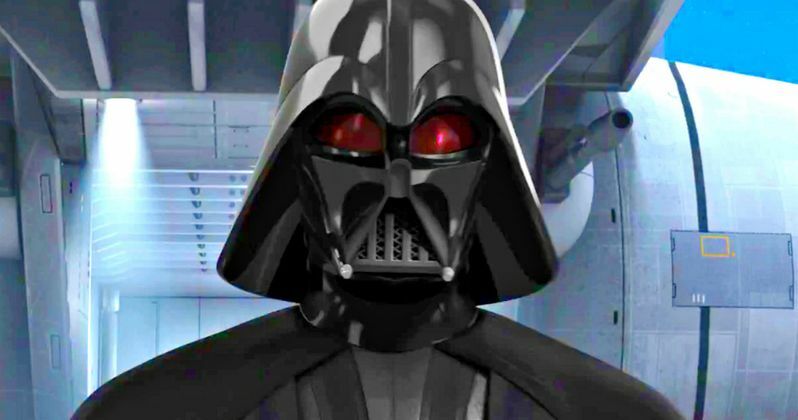 Today we have yet another trailer for this upcoming season, which once again features the nefarious and iconic Darth Vader, who is ordered by the Emperor to hunt down the Rebels. The one-hour special will kick off the new season, but, unfortunately, fans will have to wait until the fall for the season to continue. Continuing the epic tradition of the legendary Star Wars saga, Star Wars Rebels unfolds between the events of Star Wars: Episode III - Revenge of the Sith and Star Wars: Episode IV - A New Hope and tells the story of the motley but clever crew of the starship Ghost who together face threatening new villains, encounter colorful adversaries and embark on thrilling adventures. In its second season, Star Wars will feature recurring appearances by fan-favorite characters including Darth Vader, Wolffe, Gregor, Captain Rex and Ahsoka Tano. Star Wars features a voice cast that includes Freddie Prinze Jr. (Kanan), Vanessa Marshall (Hera), Tiya Sircar (Sabine), Steve Blum (Zeb) and Taylor Gray (Ezra). Sarah Michelle Gellar will also have a recurring voice role in the second season, although no details about her character were revealed. While we wait for more details on Star Wars Rebels Season 2, check out the new trailer below.